3-Elections to Officers Posts on Staffordshire District and Branch Committees. 8-Teachers / support staff and the Law: presentation by Kate Brandrick, Regional Official. As a member of the NEU Staffordshire District, you are warmly invited to attend this, our first Annual General Meeting. 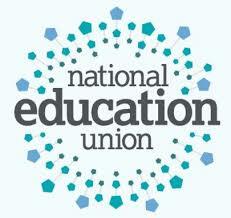 The NEU is your Union and this is your opportunity to shape its future in Staffordshire. Your involvement matters. Ratification of the elections of District and Branch Officers. District and Branch priorities for 2019-2010: development plan. We want to build on the success of our first General Meeting and ensure that as many of you as possible do attend. Do liaise with NEU colleagues in your workplace to ensure a good turn-out and maybe share transport. So that we can make the appropriate catering arrangements, could we ask you to please confirm your attendance? We look forward to seeing you on April 3rd.